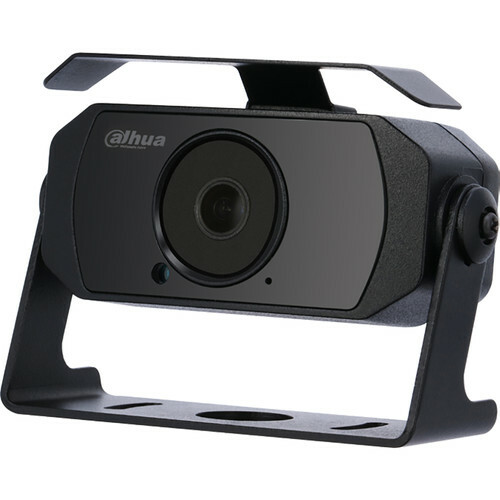 Capture steady 2MP video in a moving vehicle with the Mobile Series DH-HAC-HMW3200N 2MP Outdoor HD-CVI Vehicle Camera with Night Vision from Dahua Technology. Featuring a 2MP CMOS sensor and a 2.8mm fixed lens, this camera captures video at resolutions up to 1920 x 1080 at 30 fps in a 106° field of view. The camera has an IR cut filter and IR LEDs for night vision with an effective range of up to 66'. The camera is equipped with a built-in microphone for capturing audio, which is transmitted over coax along with the video. Suitable for interior and exterior applications, the camera is housed in an IP67-rated weather-resistant enclosure.